A trad game with narrativist elements, DayTrippers wants to be driven by an "auteur GM". The system is uniquely optimized for improvization and high bleed. The mechanics use d6s only. CharGen is a progressive point-buy system, actions are both skill- and stat-based, and experience points offer advancements of all types. Sample characters and vehicles are included. Progressive Character Generation and LifeShaping Events make characters flexible and easy to create. Action Resolution is both numeric and interpretive, creating a wide range of dramatic outcomes for every roll. 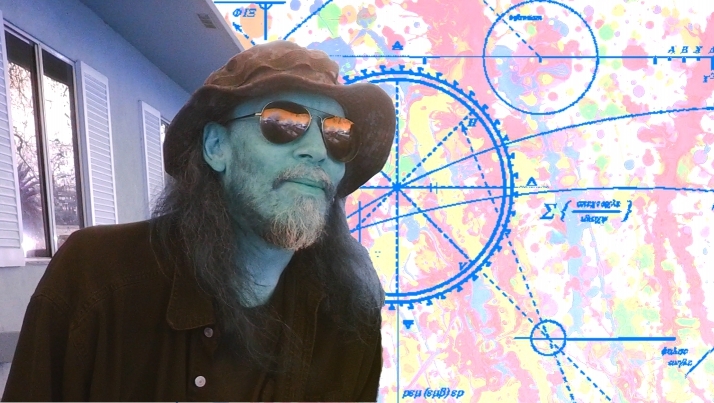 The DayTrippers rules are a toolbox for running surreal science fiction "short stories" that take place in weird worlds and other dimensions. A DayTrippers campaign is like a series of one-shots: each adventure is designed to last a single session and return the PCs back to Earth. 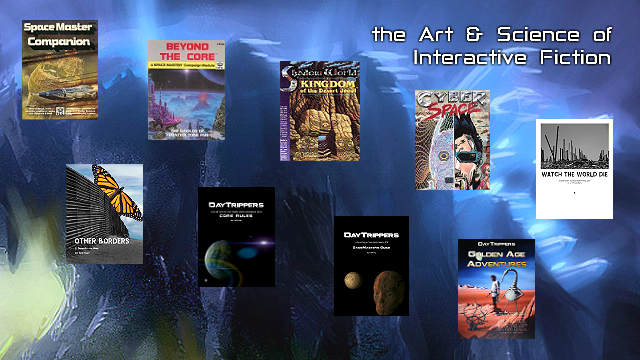 An infinite variety of bizarre experiences can be explored, from "Dream Worlds" and "Alternate Earths" to distant planets in our universe and others. Using this toolkit, the GM takes the players into new and wildly divergent realities every session, blurring the line between subjective and objective reality, and cranking up the weirdness to eleven. 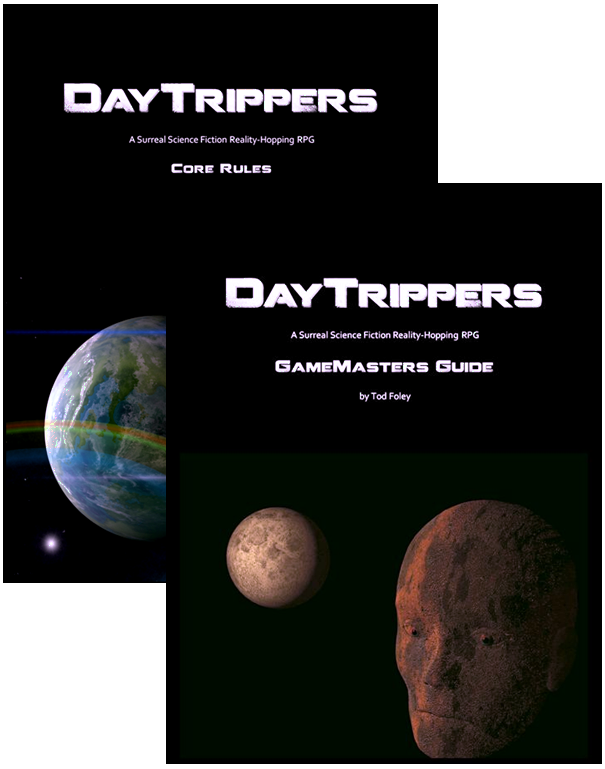 Coming This Month: The DayTrippers GameMasters Guide, an "autuer GMs" approach to trad gaming in surreal worlds. 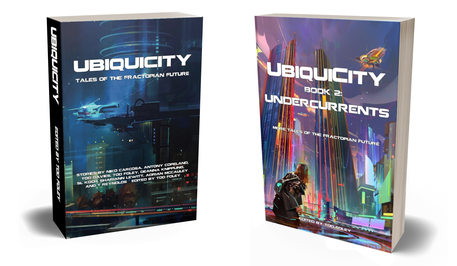 Now seeking reviewers and playtesters! Curious? Drop me an email here.